Reiki! - Readings. Reiki. Spiritual Guidance. by Stevie T.
Offering clients One-Hour Reiki Sessions in-person or Remote Reiki Sessions! I also offer home parties for Readings! Email me by using the simple form below (or call me with your inquiry), then I'll send you the link you need! Scheduling and reserving your spot takes place after you've made your purchase via the email that you use to do so. Don't hesitate to ask me anything related to what I do or what it would be that I'd suggest for you (if you need some suggestions on where to begin, either with Reiki or Readings). You can begin with the simple form, below. Simply fill in all required fields and I'll review it and reply within 72 hours. * Once we've connected through the e-mail or telephone, we can figure what best suits your needs through communication! "That was MUCH needed! Thank you SO much! I passed out until right now. But I did enjoy the entire session....just fell asleep afterwards! Always a different experience. Reiki is a healing and relaxation system that works with both energy and chakra systems within the body, including all the associated energy auras. Reiki (pronounced Rei-Key) is split in two parts and compromised of two Japanese words. “Rei” meaning “Universe” or “God” and “Ki” meaning “Life force” or “Energy”, so put together “Reiki” literally means “Universal Life Force Energy”. 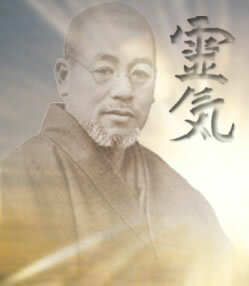 wholeness and Usui Shiki Ryoho addresses the whole person, physical, emotional, mental and spiritual. The importance and deeper meaning of the elements and aspects and the whole system is mainly beyond words and gradually unfolds through personal experience. Reiki is for everyone regardless of faith and is not a religion. Reiki comes from the Divine source of “all that is”. Reiki is about working with the powerful energies that have always been prevalent and is as old as the Universe itself. Reiki will indeed have an extraordinary effect on your life for the better. It has had this effect on mine! Usui Shiki Ryoho (the Usui System of Natural Healing), known as Reiki, traditional Reiki or Usui Reiki-- is one of the most ancient healing arts known to man kind. It is a form of healing and spiritual awakening, received and developed 100 years ago by a Japanese Buddhist man, Mikao Usui, and was eventually brought to the West via Hawaii in 1937. In Japan, Mikao Usui meditated for 21 days and was given the secret keys to attunements and the knowledge on how to practice and share Reiki with others. That is why Usui Reiki is called Usui Reiki, because Dr. Mikao Usui rediscovered it and was given a way to share it with others. The “secret keys” that Dr. Mikao Usui discovered have been passed on from one person to another through specific initiation rites, teachings and defined forms of practice ever since. It is my soul's pleasure to share this with those serious about having a Reiki Healing Session and/or being attuned to Level I, II, or three- The Master level. Please note that you can receive an attunement and/or a Session distantly or in person and its effectiveness is the exact same. That's the beauty of REIKI! And it always works for your highest and greatest good. Chi Balls are effective, also. With this, you will receive Usui Reiki Manual I, Email support and then the attunement. healing on yourself and others who are present. primarily with the physical realm. With all manuals and learning, It is up to the initiate to take this seriously and really understand and do the work/understanding of what's inside the manual. Please note that you can receive an attunement and/or a Session distantly or in person and its effectiveness is the exact same. That's the beauty of REIKI! And it always works for your highest and greatest good. With this, you will receive Usui Reiki Manual II, Email support and then the attunement. With this, you will receive Usui Reiki Manual 3, Email support and then the attunement. energy is unlocked and complete Mastery may be achieved. AND to Reiki II before receiving this stage. your healing and psychic abilities. really understand and do the work/understanding of what's inside the manual. Frequently Asked Questions Section below! I - Just for today, I will not worry. Although worry is not always a negative phenomena, endless worries may fill one's head, and each one bores a small hole in one's body and soul. Worrying about what has not happened yet is going to cause a lot of blockages and dis-ease. II - Just for today, I will not anger. While worry deals with future events, anger deals with past and present events, Anger at others or oneself or at the whole world, creates serious blockages in one's energy. It is the most complex inner enemy. Letting go of anger, brings Piece into the Mind. While it is my personal belief to honor your emotions, making peace with where you are daily will allow you to move past destructive emotions, such as anger. III - Just for today, I will be kind to every living thing. V - Just for today, I will be grateful. Be grateful from your heart outward. Inner intention is the important element in this principle. Simple things such as giving thanks, forgiveness, smiling, good words, and overall gratitude can improve others' lives and make them happy. Being in a state of gratitude makes you happy. BY DR.MIKAO USUI While in a state of gratitude, you attract more to be grateful for. Every living thing and every non-living thing for that matter, has a vibration and is made up of energy. There is even no distance or time between us all, because we are made of this universal energy that creates worlds and between each of us all is just more energy. Humans, as well as animals and plants, can benefit from Reiki. ...and the list goes on and on. ANYONE can recieve reiki, it's good for EVERYBODY, EVERY SOUL, EVERY OBJECT and EVERY ACT OF BLESSING because it only acts in the Greatest and Highest good for it and everyone else involved coupled with your intentions for its use. Reiki is pure. It's not magic- it's Reiki. From the earth, to your hands, to your eyes, from your breath- to another or a space. Become a Reiki Practioner today or purchase a session from me. You'll be amazed by Reiki. What actually are the Reiki Attunements? their frequencies to permanently receive the Reiki energy. of not practicing you are still with Reiki. 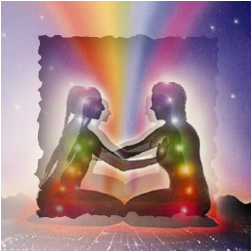 How do you receive Reiki Attunements long distance? thousands of dollars to be Attuned. given easily via Distance Transmission as well as physically present. symbols and keys to attune someone, even distantly. that is what I teach my students as well. How will I feel once I have been attuned? You may feel more energized. You may feel nothing at all. though. As you can sense, it's a personal experience. How long should I wait to attune others between Levels? things for each attunement and experiment using Reiki. Although I do believe either is acceptable I think it is a personal choice for the Teacher and Initiate. learn and use the healing abilities sincerely and for the greater and highest good for others. Also having a clear and open mind is helpful. It is worth mentioning here that you must complete Reiki I to be initiated into Reiki II and complete both Reiki I and II to become a Reiki Master, level III. Does the Reiki Practitioner ever get tired or run down from giving Reiki treatments? 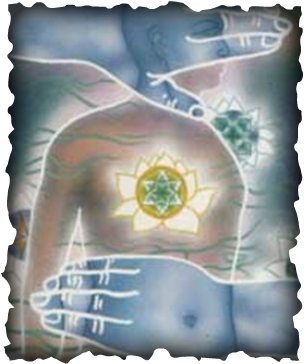 Since Reiki is a channeling healing the Reiki practitioner‘s energies are not depleted. The practitioner’s energy is not being used. The practitioner is channeling The Universal Life Force Energy and therefore is a facilitator of this energy, not creating it. Reiki will work whether you believe in it or not! Keep in mind this also goes for the person or thing receiving Reiki. When giving a Reiki treatment, what do you feel? How do you know the energy is flowing? (glass spheres you may have had in science class or seen in gift shops). each fingertip to the other and flowing (I do not mean to imply any zapping is going on)! sensations can vary from treatment to treatment and client to client. time and then it is time to move hands else where. When one area is “fixed” you move on to the next. to move on or how strong the blockages are and when the blockages have been released. Use your hands, use your insticts-you cannot make a mistake! Can the flow of Reiki energy alter in strength? disharmony in the person/animal/living thing that is receiving Reiki. to the degree of disharmony in a person’s body or mind. reported positive developments in their work since learning Reiki. or their families. Everyone has a different reason for wanting to be with Reiki. Is the flow of energy both the same in both hands? “receiving” hand, the energy flows are the same in bothhands and actually the eyes (as well as the breath)! Is the health of the Practitioner affected by the Reiki flow? still giving Reiki and giving it effectively. It does not discriminate. Can you treat yourself with Reiki? Are their harmful side effects of Reiki? There have been no reported cases of negative side effects from Reiki. However, some people have observed an initial discomfort, due to the body undergoing a healing process. may at first experience everything “coming up” as the Reiki treatments take effect. This can happen in a variety of ways. It is just like the body's natural healing process. looking for a way to express itself and manifest in some way so you may face it and get rid of it. This is not something that should be feared. When I was attuned, at all III levels, I personally did not experience anything of the sort at any level. have anything happen to me that I would categorize as unpleasant. This is a natural energy, so your body will respond the same- naturally. It's beautifully in alignment to your greatest and highest good. Can you use Reiki on animals and plants? Reiki since domestic animals tend to take on the stress and emotional traits of their owners. Plants also respond well because they are living energy fields that can be out of balance as well. Ask me to tell you about my first experiences doing Reiki on my pet and my plants! Does the Practitioner need to concentrate in order to channel the Reiki energy? This is one of the most interesting observations of Reiki. the Reiki flow activates automatically. There is no conscious effort needed by the practitioner. If you are attuned to Reiki you can place your hands on or near your body or others and the Reiki energy flows.